When it comes to online casinos, there is simply a staggering amount of options out there for Irish players to choose from. This is why it is important that you do your research and make sure that whatever casino you finally choose to go with, that it will actually suit your specific needs. Superlines Casino is one of the newer breeds of Irish online casinos as it was only established in 2017, but has already made a good impression to players across the world, including in Ireland. Their platform is very sleek In appearance and with the vast offering of quality casino games, it isn’t hard to see why they have achieved so much success in such a little amount of time. It has a different feel to it when compared to other casinos as it is very visually pleasing. It is a quality casino site with some of the biggest games in the world on offer. Their website is mobile-friendly and all of their games works as seamlessly well no mobile as they do on desktop. Superlines Casino is under the operation of a company called Equinox Dynamic NV and they have their license in Curacao, which is well-known for its gambling licenses. The parent company is based out of Slovakia and it is clear that they are serious about offering a comprehensive and quality experience for all players. The quality is there to be seen and they have the security to back this up. There has been a great track record to date in terms of pay outs and there are plenty of options to get in touch with customer support if you have an issue that needs to be resolved. What sort of payment options do they offer? There are many different ways by which you can deposit to your Superlines account. They cater for all of the main methods, such as debit and credit card, as well as a variety of different e-wallets. You can even make deposits through your bank account. Generally they have decent withdrawal times, with cards and e-wallets taking up to 24 hours to clear, with bank withdrawals taking up to 5 days. What sort of bonuses do they have? Superlines Casino have a great bonus of new customers which allows you to get your first deposit matched 400%, up to a max of €400. You can also have your second deposit matched by 100% up to a max of €1,000 and the third deposit will be matched by 200%. There is also a decent program for high-rollers whereby you will get additional casino bonuses if you deposit more than €500. They even have a ranked VIP scheme which gives you different types of rewards and access to loyalty promotions. As is the theme with newer casinos, all of the games are shown on the home page. You can of course search by category and the likes to narrow down the games into your specific interests. They even have a myriad of virtual sports games on offer. They have games from notable slots developers such as NetEnt, Amaya and GS. There are hundreds of different casino games on offer, covering a variety of different themes. They have a number of live dealer games that can add to the overall playing experience. They cover all of the popular titles such as Roulette, Blackjack and Baccarat. Superlines Casino places an emphasis on being transparent and fair to their customers. They have a variety of different support options, such as a live chat feature or you can reach them by phone. Their site is kept safe thanks to their 128-bit SSL technology. This is a high level of security and it ensures that the transaction details of its users are kept secure. They are also regulated by the Gaming Laboratories International group which set the international standards. All of the games are tested to ensure that they are fair. They use a random number generator in their games which is consistently audited by an independent party. They have a website that is completely responsive when used on a mobile or tablet device. It caters for both Android and iOS devices and the quality of the gaming experience is not sacrificed. 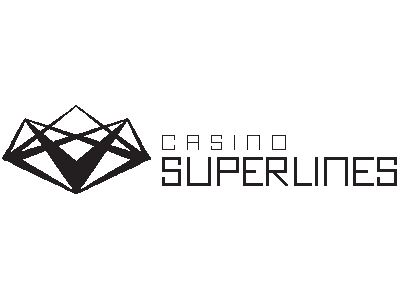 Superlines Casino is one of the newer breeds of casinos that is aesthetically pleasing, everything is easy to find and have enticing offers and promotions. With a plethora of quality games to choose from, you will never get bored. If you are tired of the same old online casinos you have been playing with for years, this could be the ideal option for you. It is refreshing and they are always pushing the bar with new ideas. Out of the newer online casinos, Superlines is one of the best options for Irish players to try out.